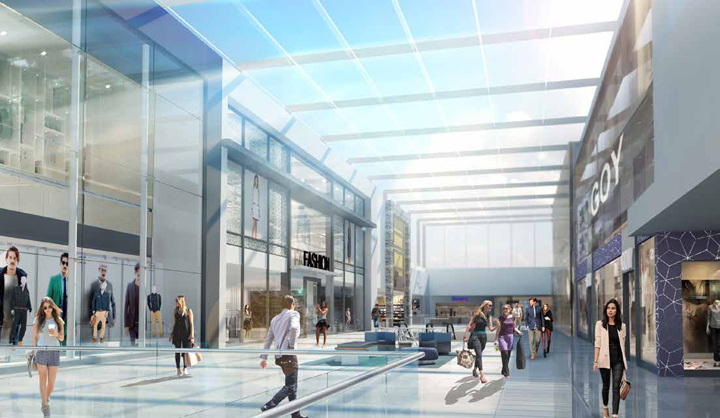 To transform Atlantic Canada’s fashion destination into an even more stylish and desirable shopping and gathering place. 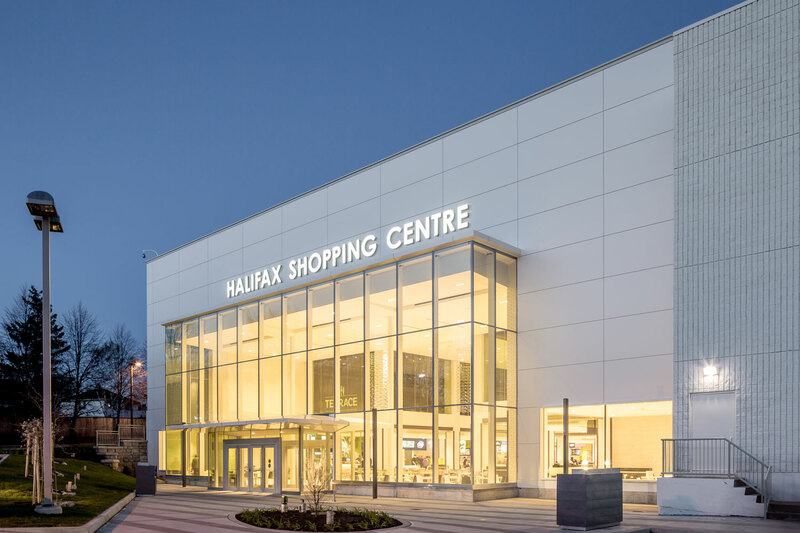 Halifax Shopping Centre’s strategy of introducing high-profile brands to the region in order to establish itself as the fashion destination of Atlantic Canada has been wildly successful. 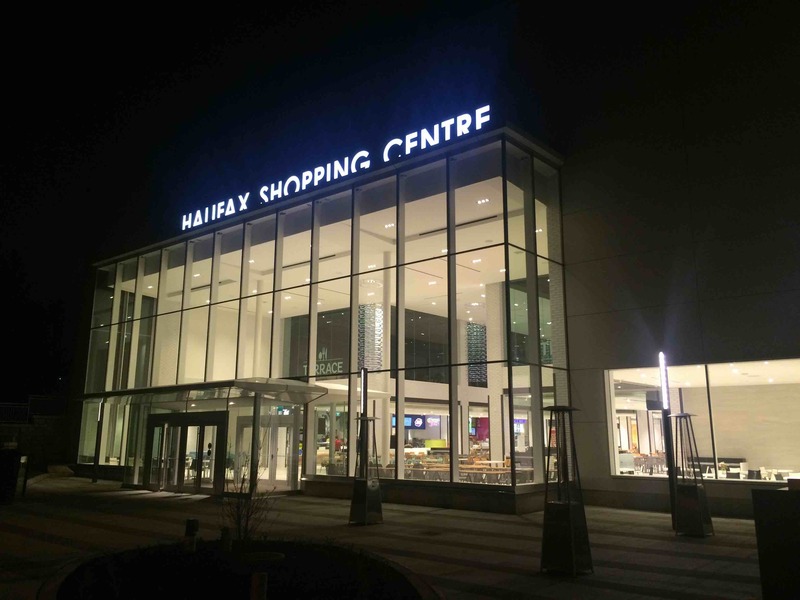 But the Halifax Shopping Centre’s success came with new challenges, including a demand for new space. 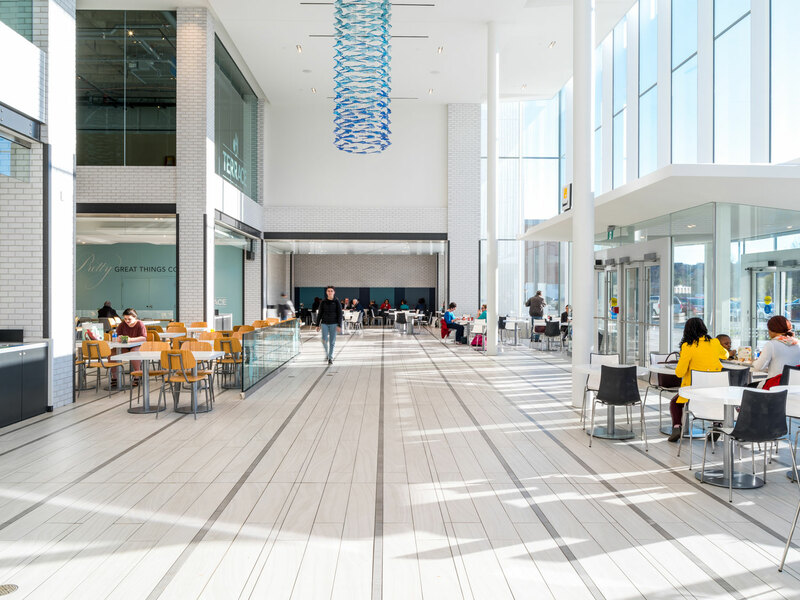 Because the Centre is virtually landlocked, the only option was to re-evaluate existing underutilized and underperforming space. 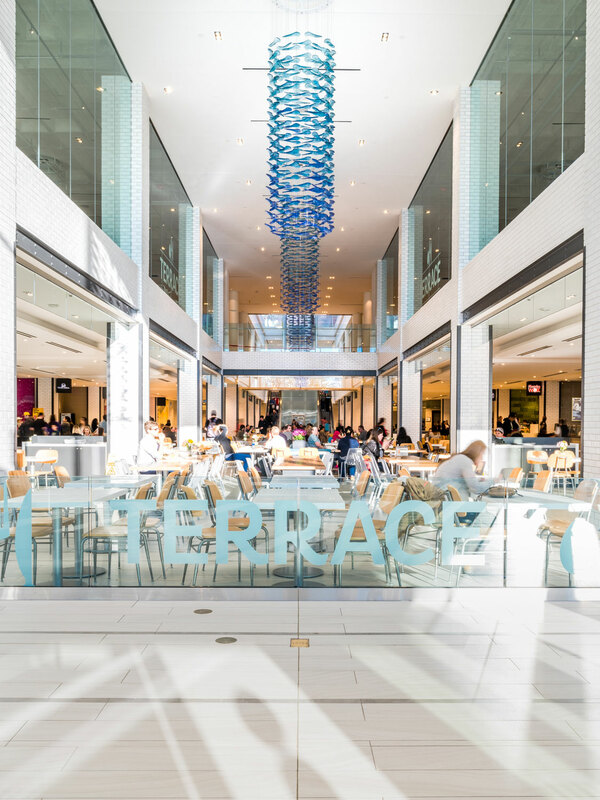 The inspiration for an innovative and massive redevelopment began with the idea of converting a basement bowling alley into a new food court, and an office tower into new retail space. 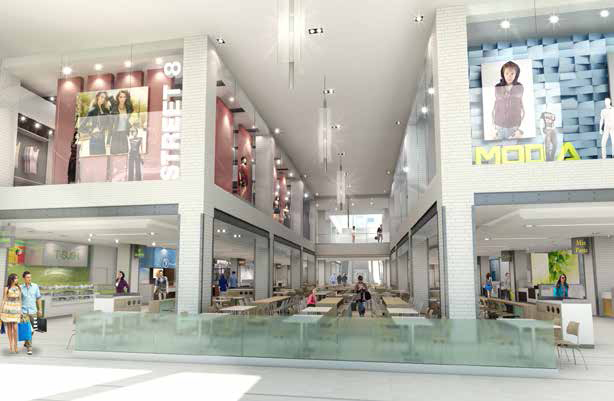 On the west side of the Centre, a new main entrance will grandly introduce visitors to a stunning new food court, formerly the home of the aforementioned bowling alley. 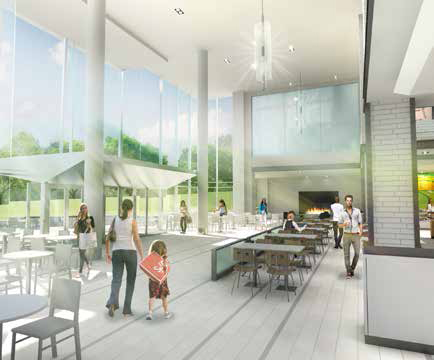 This sleek, contemporary food court will feature floor to ceiling glass that will illuminate the area with natural light, creating an elevated dining experience. 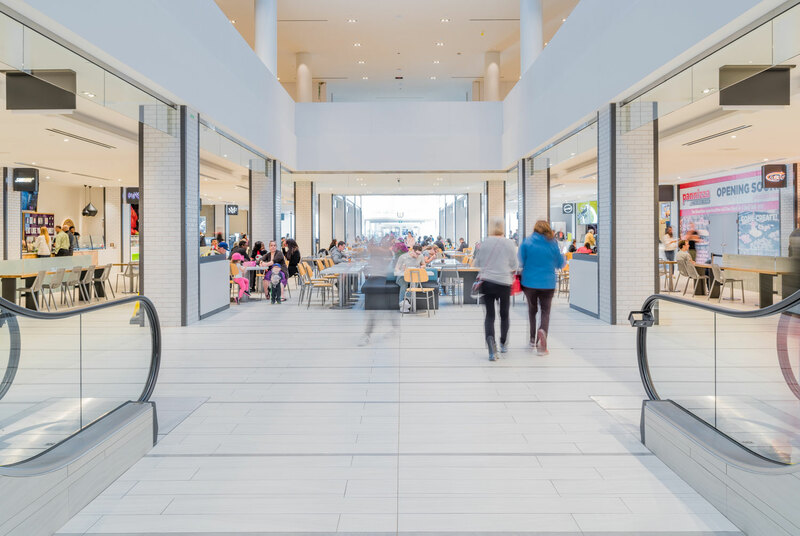 A wider selection of food purveyors, a natural gas fireplace flanked by soft seating, a 1,000 sq ft open-air patio, and new washrooms will enhance food court amenities and encourage shoppers to visit and to linger. 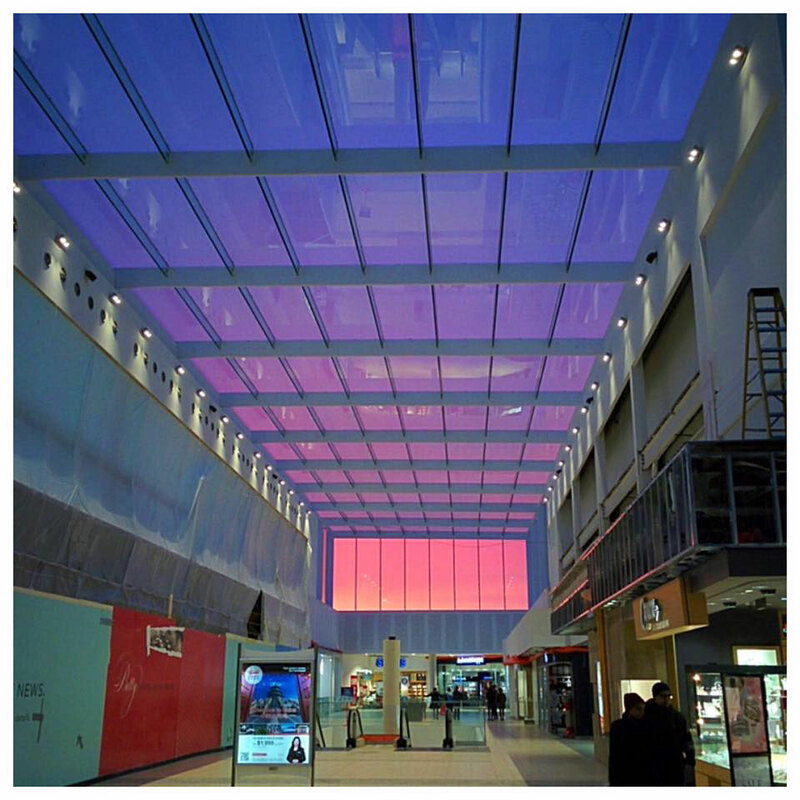 Converting one of the office towers to over 45,000 sq ft of new retail space will showcase new-to-market aspirational brands, enhanced by the largest flat glass structural skylight in Eastern Canada. 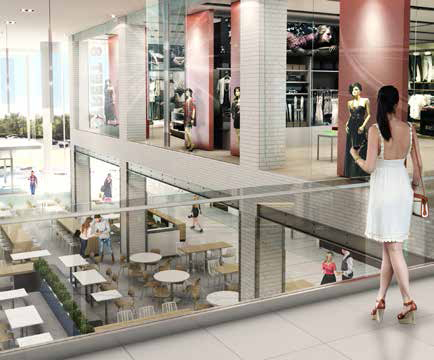 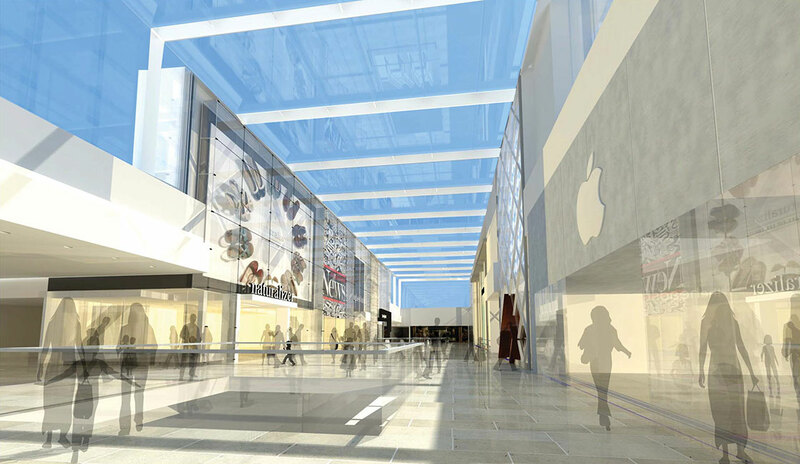 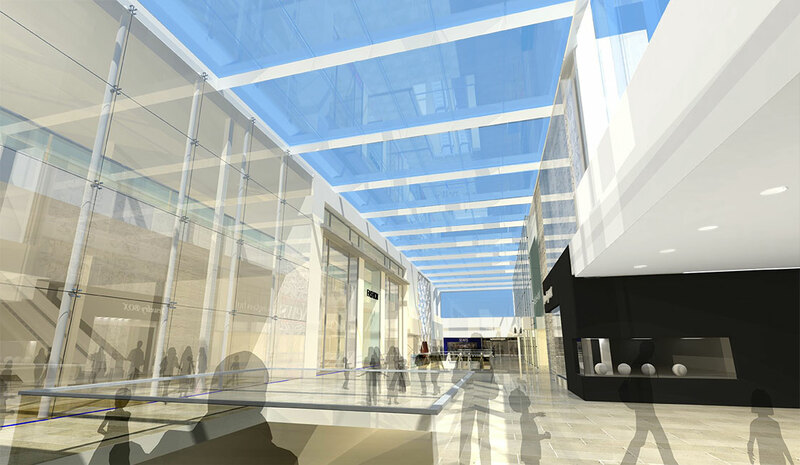 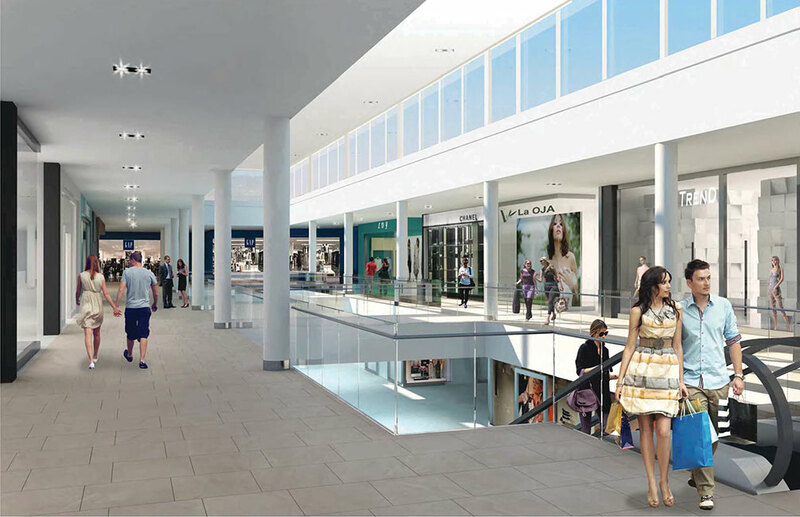 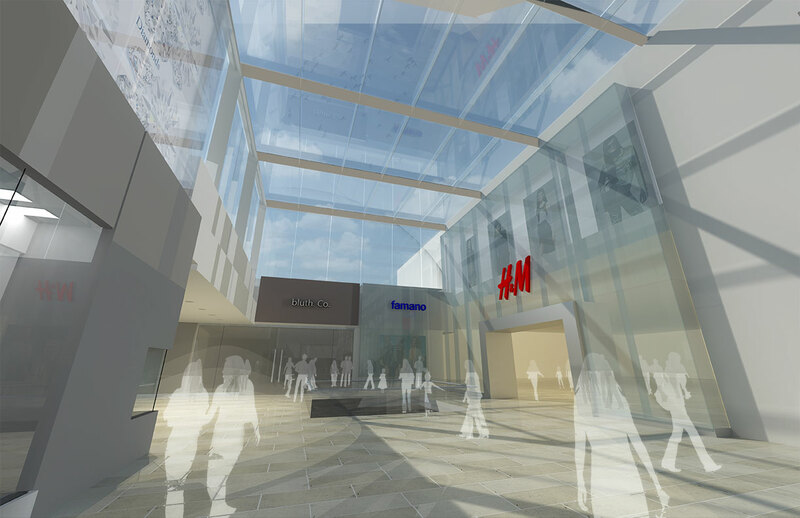 The 14,000 sq ft skylight will enclose 2-level retail stores creating an open-air streetscape shopping experience. 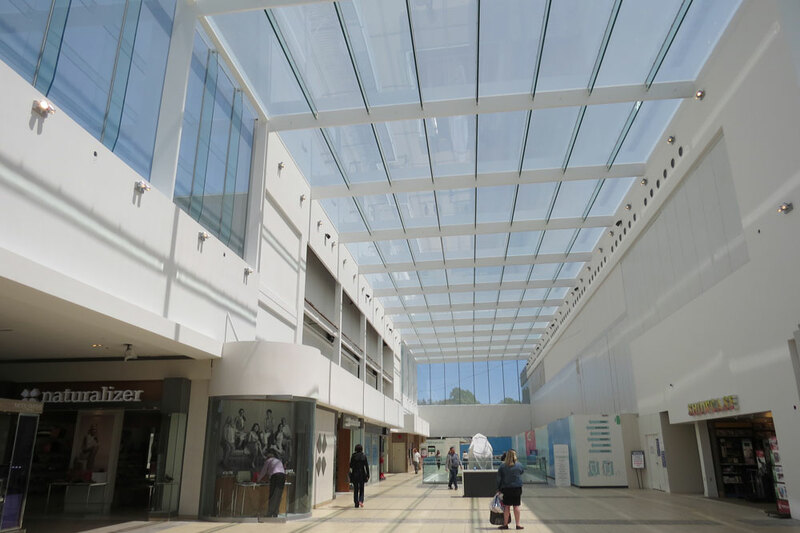 Installation of a new ceiling and conversion to LED lighting in the common areas will advance both design and sustainability of the Centre.